money, money, money, money, etc. Worried about your money situation while abroad? You’re not alone. Being stranded without cash is one of my biggest fears! Luckily for me (and my flummoxed family members), getting funds fast is becoming quite convenient. 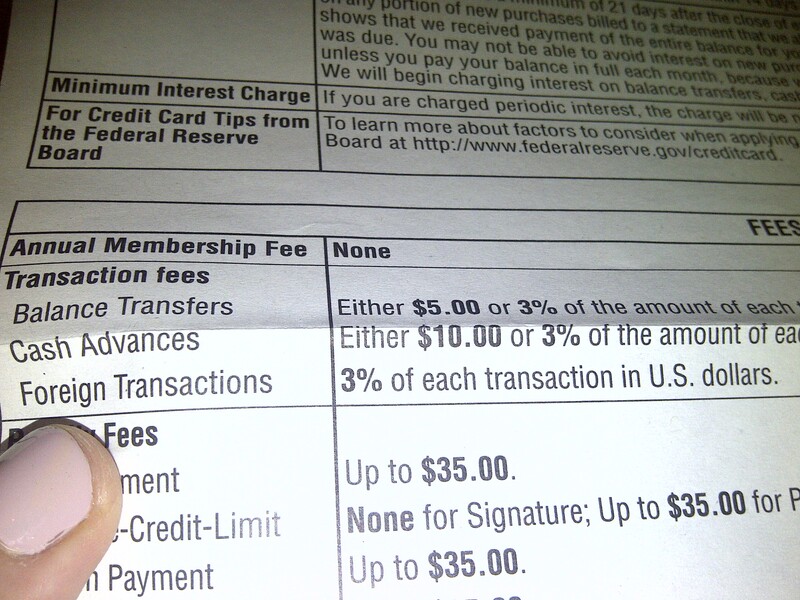 3% foreign transaction fee shown listed on a credit card’s pricing information sheet. yuck. Stores in many popular destinations (and some not-so-popular ones) are becoming more and more accepting of credit cards. Thus, taking a deep look into your current financial institution’s policies is a boring yet helpful place to start your travel prep. Call your credit card company to verify what type of foreign transaction fees are in place. The most common fee is 3% of the transaction amount (…purchasing in another currency? the 3% fee is after conversion to U.S. dollars). For example, if you have your eye on a 100€ purse in Rome, the current conversion to USD is $1.28 for every 1€. Your purse would therefore cost you $128 plus 3% of this total ($128 + $3.84 = $131.84). As you can see, the fee is not so extreme for a few gifts. 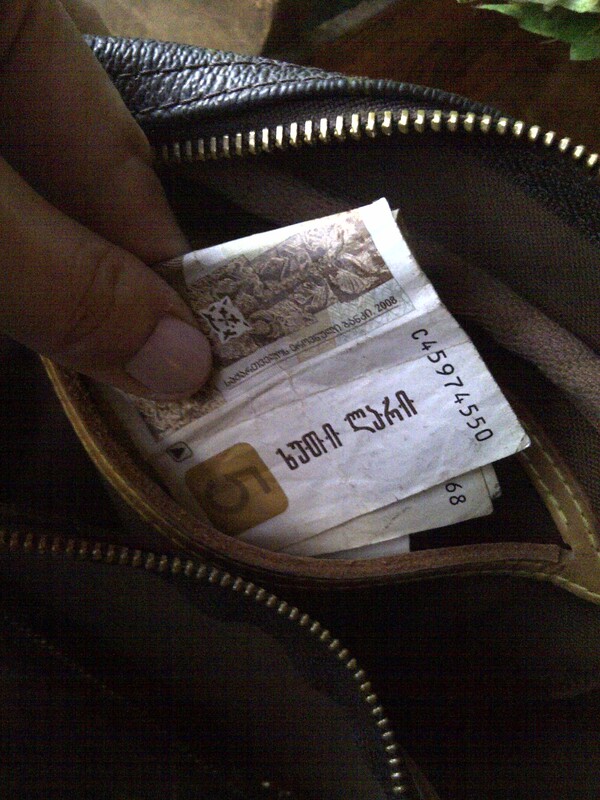 It is also safer than carrying around the same amount in cash for only shopping. Speaking of cash, gathering some foreign currency while you’re still in the States sometimes works.. but sometimes doesn’t. The ATM is becoming an über common occurrence in many countries. First thing’s first: contact your bank and check out the fees for foreign ATM usage… and not just the fee for using another bank’s ATM! Make sure there are no sneaky fees for using ATMs internationally. Of course, there are those horror stories about travelers using rogue ATMs in airports and touristy areas and then getting an extra fee charged by that exact ATM. So far, I have never experienced this type of fee because 1) I’m lucky?… 2) I first scan the machine for any posting of an ATM-imposed fee, and 3) I try to ask a native which ATM is operated by the most well-known bank. Personally, I always hit the row of ATMs in the airport as soon as I land. Having cash to pay for a bottle of water and a taxi is surely worth the $1 ATM fee my bank charges and the risk of a trivial fee by the ATM. An invaluable tip is this: tell you bank and credit card companies WHERE and WHEN you are traveling. It is necessary to put notes on accounts so debit and credit cards are not blocked based on “unusual or suspicious activity” (thanks, mom, for explaining to the bank that I actually was in Kazakhstan! No stolen card numbers here!). On a few occasions I have reached my final destination all sweaty and jetlagged to then frustratingly find out that my debit card is not working in the ATM (Welcome to Moscow Sheremetyevo Airport!). Thank goodness I told my bank where and when I was traveling beforehand. I fortunately was able to send an email to my dad and he contacted the bank from home. He told me later that if I had not told the bank about my travels then I would have needed to personally call and verify such transactions. What a mess that could have been! A seriously wise international shopper would know her options when it comes to choosing credit cards and checking accounts. There are several credit card companies and smaller banks that offer credit cards with 0% foreign transactions fees (complementary plug for Somerset Trust Company of Somerset, PA! Thanks for hiring me as a bank teller! I learned a lot! Keep up the awesomely cheap products for travelers and great customer service!). Also, many banks and credit unions offer fee-free ATM usage or will reimburse any fees that may occur. Shop around online for accounts that work for you! The best tip I’ve learned for making purchases in shops and grocery stores abroad is to use my debit card as a credit card (make sure your card is embossed with either the Visa or Mastercard logo and that you check the daily limits on in-store purchases [usually around $2,000]). My bank does not charge a fee when the debit card is used in stores so I bypass both the ATM fees for unnecessary cash withdrawals AND any 3% credit card transaction fee nonsense. No fees! Ta-da!